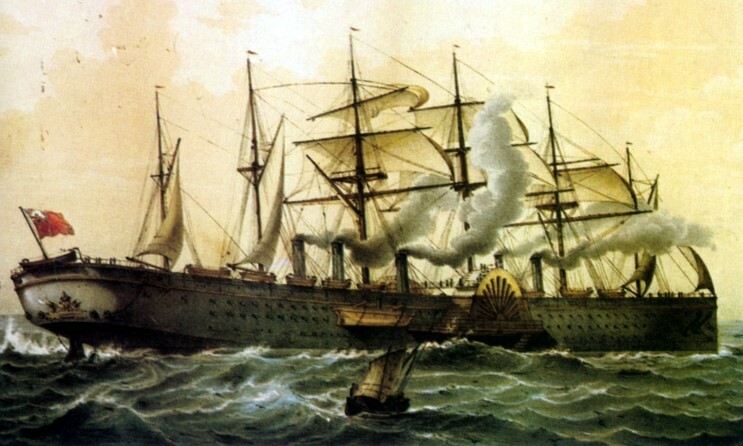 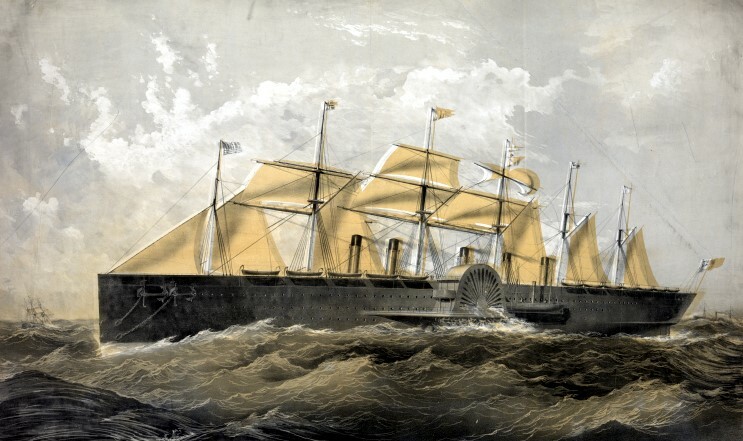 Launch of the Great Eastern by William Parrott. 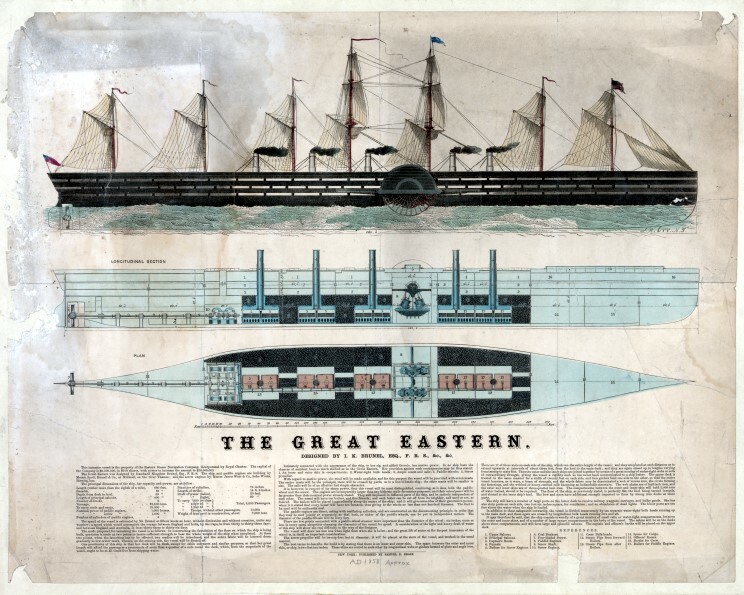 Currier & Ives released a series of five prints of the Great Eastern, four are pictured here. 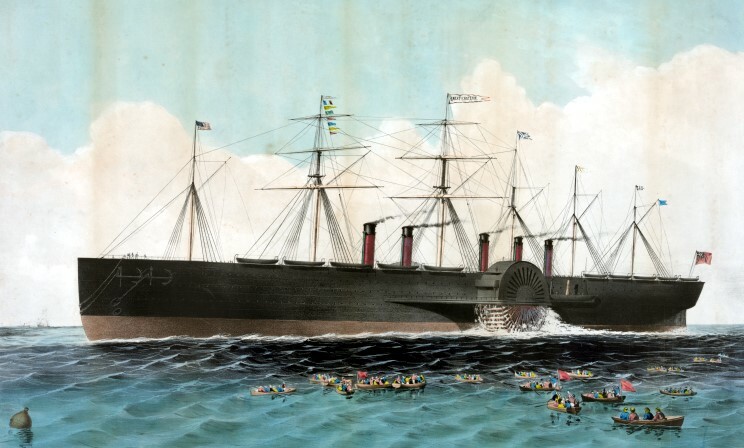 Currier & Ives print of the Great Eastern.